Urban art encompasses a much broader spectrum than just the world of visual arts. It delves into graphic and industrial design while creating the foundation for the urban lifestyle. HoodLab Art Gallery & Hemp Concept Store of San Francisco is one of the multi-oriented spaces, which allows all the aspects of style to merge and coexist, providing a singular source for the urban crowd. We find HoodLab an interesting place, since it puts on very interesting art exhibitions along with the awesome stuff it sells. 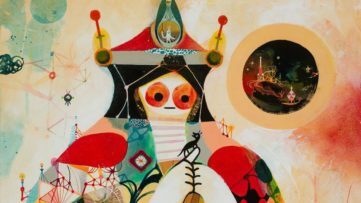 The latest art show opened last Saturday, and it features two creatives whose styles are rightfully characterized as being worlds apart. 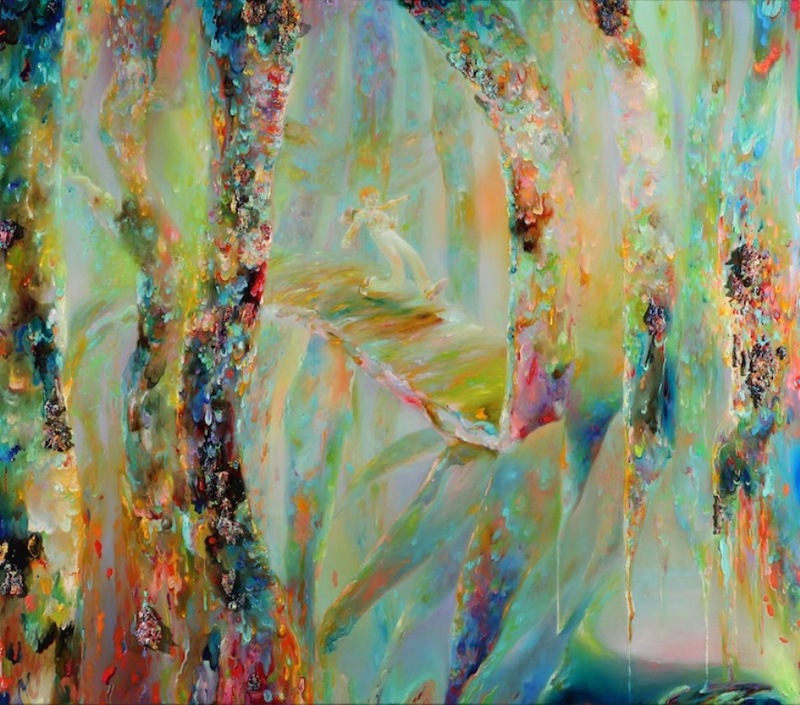 Through the month of March, Michael Page and Jesse Hazelip are having their latest artistic creations on display at HoodLab San Francisco, each coming forward with the unique and appealing aesthetics inspired by a different set of stimuli. While Michael Page depicts a color frenzy from which various characters emerge, Hazelip’s graphic and prison aesthetics related work is more bound to the issues of change and transformation. Conceptually, we can find some parallel in the introspective nature of both of the artists’ work, as well as in the metamorphosis both of them tackle, but while Page addresses it on the visual level, Hazelip focuses on the inner change which results in the visual. 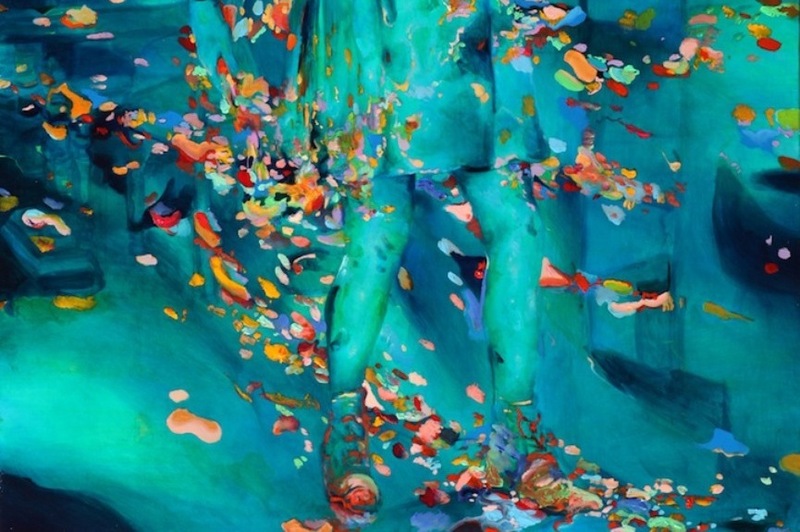 Characters of Michael Page are inspired by classic arts, childhood, world of imagination and dream. They appear to be moving through the colorful interior of a human mind, strolling around synapses, breathing in the cognition. They are distant, but familiar, adventurous, but not unsettling. Page’s illustrative subtext has come from a surreal fairy tale, on some level close to every observer. Jesse Hazelip is deeply influenced by prison aesthetics and the implications the physical imprisonment carries. His work is filled with symbols of character and feeling, fusions of animate creatures and guns, activistic and provoking messages against the police, the eternal enemy of the wrongfully damned. Survival is the omnipresent theme in his work. Jesse Hazelip is so consumed by the concept that for his latest show, he underwent a set of physical preparations by having numerous, suggestive tattoos and the change of appearance done, making himself a body artist in a sense. 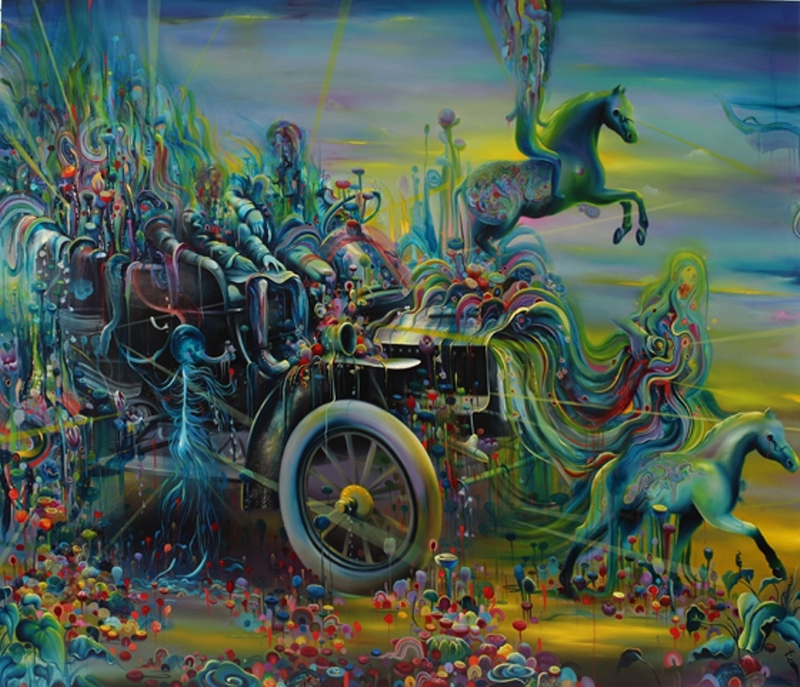 Michael Page is a San Francisco based artist. He is self taught, but in spite of his lack of formal training, his talent conjured up an art he exhibited nationally and internationally. 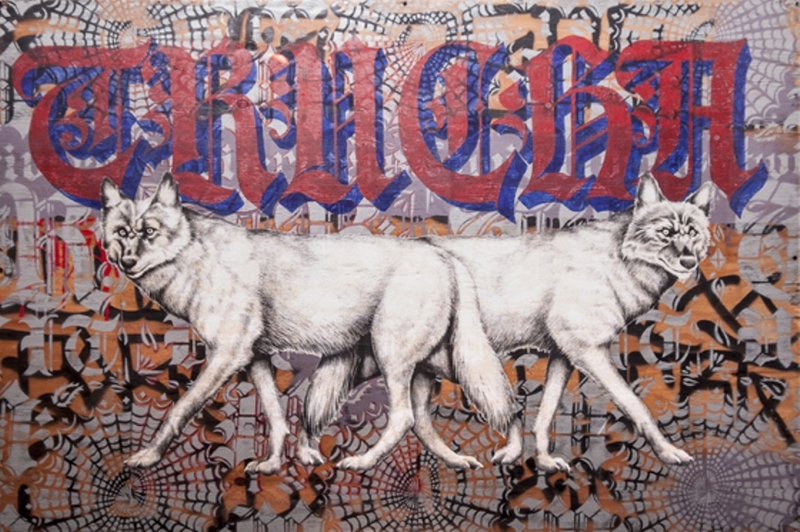 His work has been featured in urban art magazines, and a piece was bought by the Bristol Museum of Art in London. 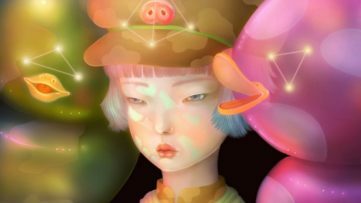 The style he pursues can be generally defined as surrealism, which he shapes by using subtle transitions of vivid color, soft shading and three-dimensional drawing. Jesse Hazelip lives and works in New York. 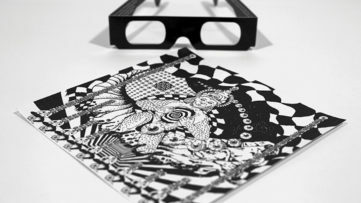 He comes from the world of graffiti, growing up in Colorado and South California. His artwork is packed with references to his gang related past, which is a part of his persona waiting to burst out in a visual form. 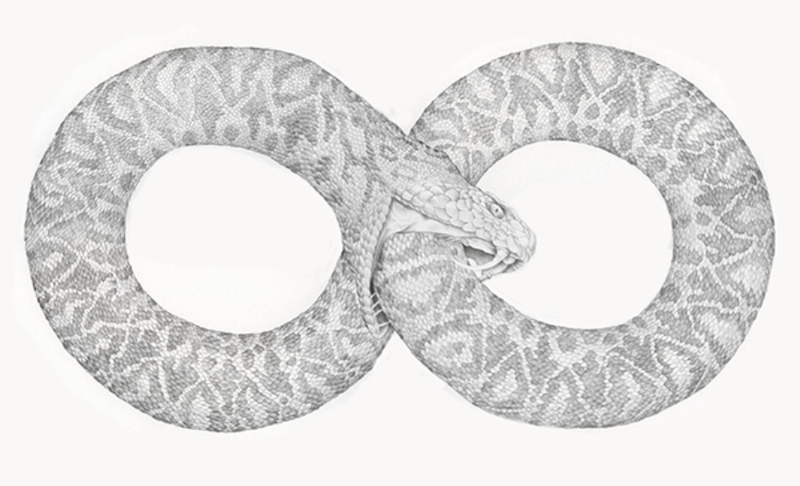 Controversial, but intriguing, Jesse Hazelip must be one of the more exciting personalities on the urban art scene today.